This week’s collection is from Allan. 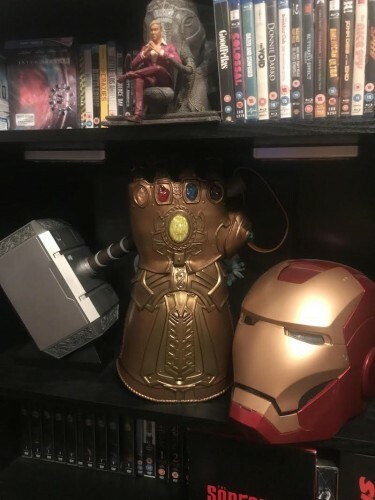 He has a fantastic movie collection. This is what Allen had to say. I first started collecting VHS then to DVDs mainly from my love of cinema. Then Blu-ray came and my OCD or completionism took ahold. I needed to have all the Marvel movies on Steel-book, 3D blu ray. Then it was I needed every comic-book movie ever. I got a 55 inch UHD 3D curved Samsung TV and suddenly I had to start getting UHD Blu rays. As my collection grew I found I needed to have more stands/displays. And as I had tops for the stands and I love PS4 games the statues that come with collectors editions found a home. I would double dip. Having all the MCU movies on Blu-ray and on Steel-book I would still purchase the collectors Phase 1 and 2 box sets. My love of TV, movies and all things geek has its own corner of my living room. I collect rare Blu-rays: Novamedia. They release ultra rare editions of movies. Only 1 or 2 thousand made of each. My dream collectors item would be the Marvels Legends 75th Anniversary Captain America shield (its metal unlike the plastic one that you can get for 50/60) its selling for 5/6 hundred. My newest pre order of geekdom was done today. 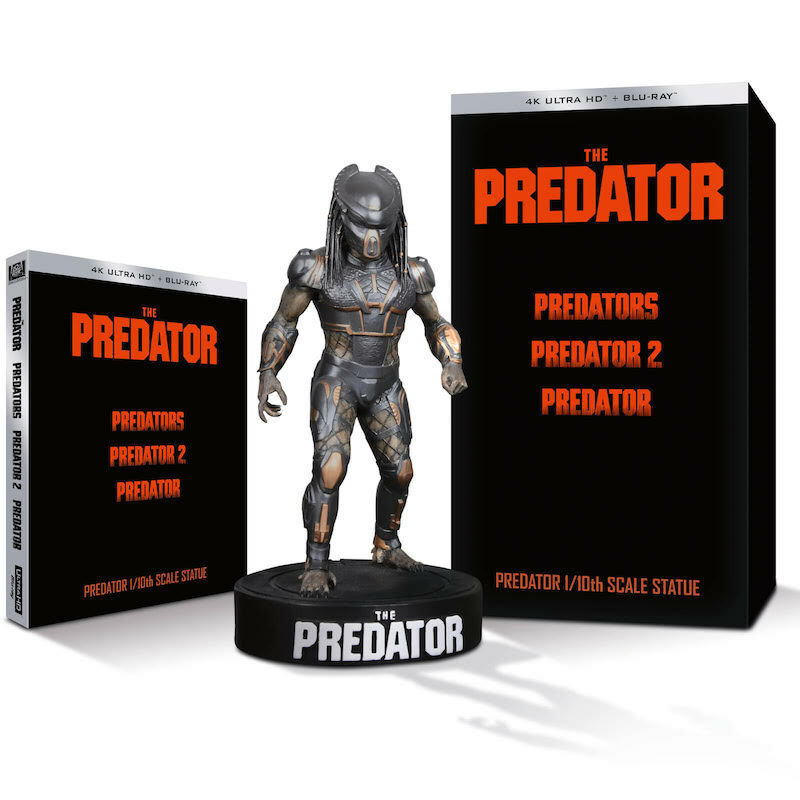 Predator collectors edition UHD Blu ray trilogy. 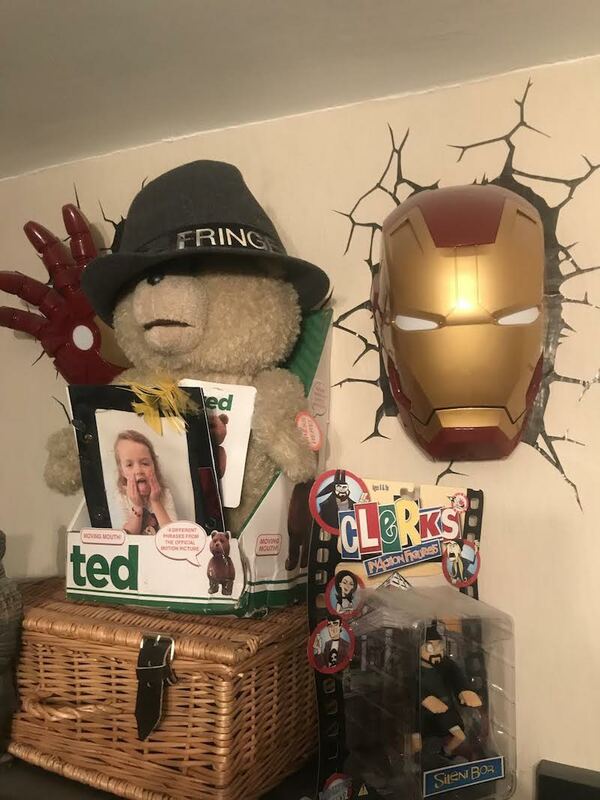 That is one awesome collection Allan! Thanks for sharing. If you want your collection featured on our website here at Life of Dad and talked about on The Geek Show please email me art@lifeofdad.com. All you need to do is email me a few photos and a paragraph or two about that collection. Check out last week’s Life of Dad Collector of the Week and his sports card collection.